The color explosion continues. As more hand embroidery is added, this quilt is becoming more cohesive. It's about half way done, which still leaves lots of hours to keep my stitchy hands busy. 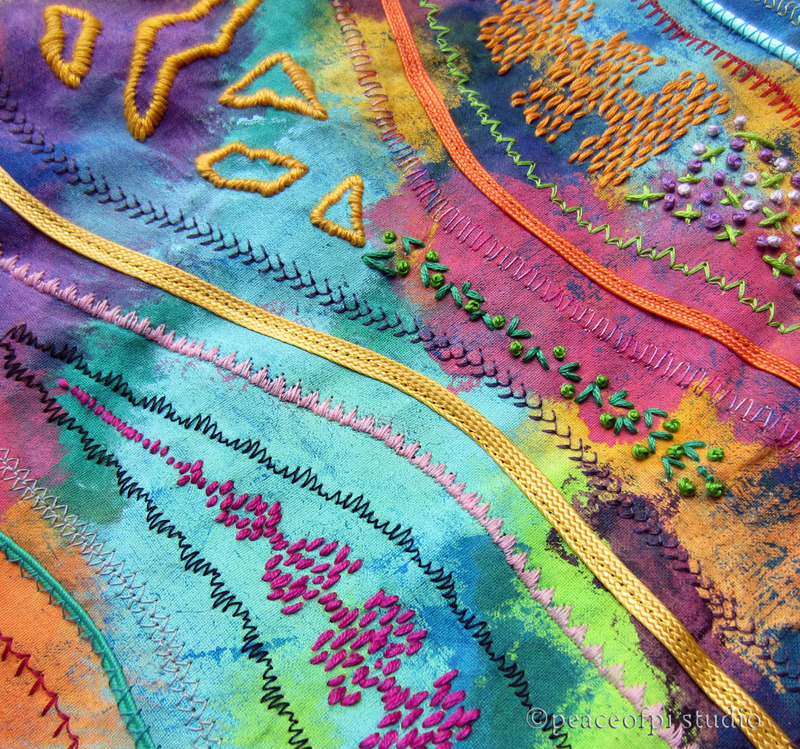 The piece combines couching, quilting and hand embroidery. FYI, some referral links follow. See the policies page for more info. This book is an all-in-one resource for quilters and stitchers of all levels. It covers everything from tools and supplies to color confidence and finishing techniques. Two quilts I made, another Hand Embroidery Quilt like this one and a folksy Brown Bird Collage Quilt are featured. So happy to be a contributor to such an amazing resource book! 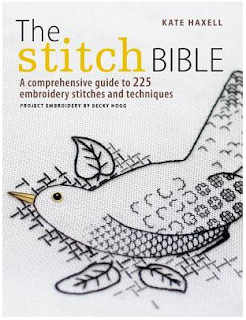 I also find lots of stitch inspiration for hand embroidery from The Stitch Bible by Kate Haxell. It's such a modern and up to date book yet it wonderfully covers many types of traditional stitch from Blackwork, Hardanger, Crewel, and Goldwork to Freestyle Embroidery. It also has projects. Beautifully presented and easy to follow. A great book for beginners. Hand embroidery is so rewarding and creative. It really is an adventure I recommend everyone try!